Rolls-Royce won't be reviving the Drophead Coupe for the current generation, so here's a render artist's impression instead. Rolls-Royce recently lifted the wraps off the ludicrously luxurious eighth-generation Phantom, the first new iteration of Rolls-Royce’s flagship limo since 2002. It may look eerily similar to its predecessor, but underpinning the eighth-gen Phantom is a new aluminium platform Roll-Royce calls the “Architecture of Luxury,” and the front has been subtly refined. But what about its convertible sibling, the Drophead Coupe? Bad news: Rolls-Royce has killed it off. So a talented render artist has imagined what the new Phantom could look like if it dropped its top instead. Envisioned by artist X-Tomi Design, the luxurious cabrio’s design stays faithful to its fixed-roof counterpart. There have been some subtle modifications, however. Notably, both the front and rear fenders have been extended since the size of the doors hasn’t been altered. 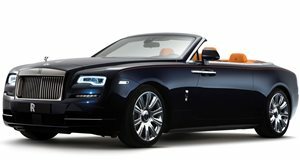 If Rolls-Royce revived the Drophead Coupe for the eighth-generation, it would most likely adopt a cloth roof like the previous model and the same 6.75-liter twin-turbo V12 engine that powers the new Phantom sedan producing 563-hp and 663 lb-ft of torque. But why isn’t Rolls-Royce replacing the Phantom Drophead and Coupe for the eighth generation?